Administrative Law Judge (ALJ), Clara L. Slifkin, Office of Administrative Hearings (OAH) Special Education Division, State of California, heard this matter on November 27 through November 30, 2006, and December 8, 2006, in Simi Valley, California. N. Jane Dubovy, Attorney at Law, represented Petitioner (Student). Student’s mother was present every day during the hearing and Student’s father was present on November 30, 2006. Andrew V. Arczynski, Attorney at Law, represented the Simi Valley Unified School District (District). District’s Special Services Coordinator, Dennis Carter was present during the hearing. On September 8, 2006, Student filed a Request for Due Process Hearing. The ALJ opened the record on November 27, 2006, and received testimony and evidence on the dates scheduled.The matter was continued to December 8, 2006, at which time the taking of oral and documentary evidence was concluded. The record remained open to permit the parties to submit written closing arguments on or before January 5, 2007. Both parties filed timely closing arguments. Student’s closing argument is identified for the record as exhibit 21. District’s closing argument is identified as exhibit Z. The record was closed and the matter submitted for decision on January 5, 2007. 1. Did the District fail to provide Student with a Free and Appropriate Public Education (FAPE) in its June 9, 2006 Individualized Education Program (IEP)1 for the 2006-2007 school year? 2. Was the placement offered by District in the June 9, 2006 IEP the least restrictive environment (LRE)? (2) Reimbursement of money parents paid for Student’s educational and related needs. Student contends that District failed to provide her with FAPE for the 2006-2007 school year by failing, in the June 9, 2006 IEP, to offer her an appropriate placement for high school to which she was transitioning from a District middle school. More specifically, Student contends that the IEP failed to consider Student’s deficits in peer relationships, communication, and the development of social skills that result from autism, her disability. Student asserts that it is the District’s responsibility to prepare her to be able to “access social relationships” (friends) in her community. 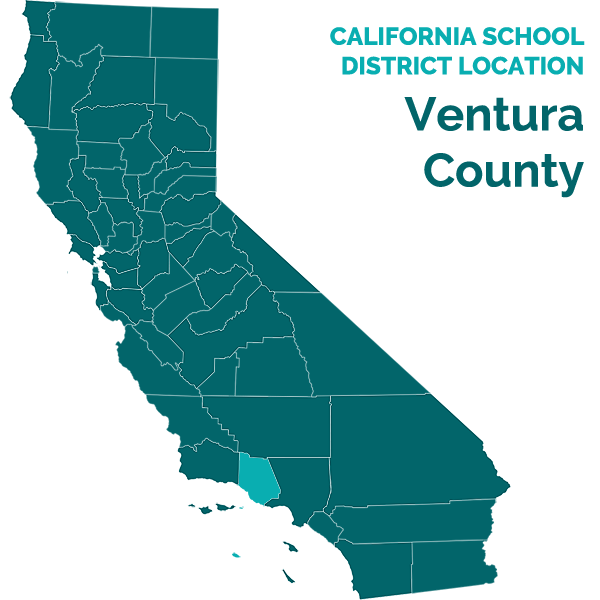 Student also contends that placement at District’s Santa Susana High School (Santa Susana) is not the least restrictive environment for her, and that a placement in a non-public school (NPS) would be Student’s LRE. She argues that District’s offer of placement in four general education classes, three RSP classes, a one-to-one aide and other related services is too restrictive because her one-to-one aide isolates and stigmatizes Student. She asserts that she has failed to form friendships with other students and is teased by her peers because of her lack of social skills. According to Student, District’s offer has and will result in her failure to make progress in academics, peer relations and social skills. Student contends that District must fund her placement at Village Glen, a NPS for autistic students, which provides small classes and more individualized attention. According to Student, such a setting would obviate the need for an aide and provide an environment in which Student would be more likely to form friendships which endure outside of the school setting. 1 As noted below, the June 9, 2006 IEP was an Addendum to the December 2, 2005 annual IEP. It was amended to reflect Student’s transition into high school in the fall of 2006. For the sake of brevity, the December 2, 2005 annual IEP, and the June 9, 2006 Addendum are simply referred to as the June 9, 2006 IEP. 2 Other specific requirements of Student’s IEP are not relevant to this decision. 3 District proposed RSP algebra at Santa Susana but Parents did not sign IEP and did not agree with this program change. However, Student, her math teachers, and her inclusion specialist all indicated that Student would benefit from the slower pace of RSP algebra. 4 Parents failed to submit the February 11, 2005 evaluation to the June 9, 2006 IEP team and the August 6, 2006 evaluation was completed after Student’s June IEP. 5 All statutory citations to the Education Code are to the California law, unless otherwise noted. 6 Although Adams involved an Individual Family Service Plan and not an IEP, the Ninth Circuit Court of Appeals applied the analysis in Adams to other issues concerning an IEP (Christopher S . v. Stanislaus County Office of Educ. (9th Cir. 2004) 384 F.3d 1205, 1212 ), and District Courts within the Ninth Circuit have adopted its analysis of this issue for an IEP (Pitchford v . Salem-Keizer Sch. Dist. No. 24J (D. Or. 2001) 155 F.Supp.2d 1213, 1236). District contends its offer of placement and services was reasonably calculated to provide Student with an educational benefit and addresses her unique needs in the areas of academics, peer relations and social skills. According to the District, the observations of Student’s teachers and her inclusion specialists, as well as her grades, standardized test scores, and participation in school clubs, all indicate that Student has made progress in all of these areas. District further contends that its offer provided FAPE to Student in the least restrictive environment. District asserts that Student’s proposed placement at the Village Glen NPS with students that are only high functioning autistic would be a placement in the more restrictive environment. According to District, its proposed placement affords Student maximum interaction with non-disabled peers and Student’s request for a NPS placement is unsupported by the evidence. 1. Student, who turned 14 years old on January 8, 2006, has been receiving special education and related services as a child with autism. She resides in District and attends ninth grade at Santa Susana where she is enrolled in general education classes with resource specialist program (RSP), pull out sessions, and a one-to-one aide. She was diagnosed with autism when she was 2 years and 8 months old by Tri-Counties Regional Center. 2. Student is a high functioning child with autism. She attended District’s Valley View Middle School (Valley View) during the 2003-2004, 2004-2005, and 2005-2006 school years. Student was in the general education program, with accommodations, RSP, Designed Instruction and Services (DIS) in occupational therapy, social skills, speech and language, and inclusion consultation. Student was provided with a one-to-one aide for the entire day at Valley View. 3 . The district has provided FAPE if its program or placement was designed to address student’s unique educational needs and was reasonably calculated to provide some educational benefit in the least restrictive environment. The term “unique educational needs” is to be broadly construed and includes the student’s academic, social, emotional, communicative, physical and vocational needs. The district’s program must provide only a “basic floor of opportunity” that consists of access to specialized instruction and related services. If District’s program met the substantive factors, then District provided a FAPE, even if Student’s parents preferred another program and even if her parents’ preferred program would have resulted in greater educational benefit. An IEP is evaluated in light of the information available at the time it was developed, it is not judged in hindsight. 4 . On December 2, 2005, the IEP team met for Student’s annual review. Student’s intellectual cognitive ability was within the average range based on the Universal Nonverbal Intelligence Test. She had needs in the areas of auditory functioning, attention (she is distracted by auditory and visual stimuli), fine motor skills, social skills and communication. She had difficulty completing and turning in homework and in socializing and communicating with peers. Parents voiced their concerns about Student’s social interaction with peers and expressed their desire for her to slowly increase her peer interactions after school. The District IEP team members acknowledged Student’s “tremendous progress” socially and emotionally in the preceding year. Examples cited included Student’s auditioning for and gaining a part in the Drama club’s performance, involvement in classroom group activities, and self-regulating her feelings and stress levels. The District offered Student: (1) a general education environment with RSP English and RSP study skills; (2) DIS in occupational therapy, speech and language, and social skills; and (3) a one-to-one aide. The IEP team proposed annual goals in Student’s areas of unique needs in social/emotional skills with peers.2 The IEP team specifically offered: (1) speech and language in a pragmatic skills format to facilitate turn taking; eye-contact/body posture, listening, maintaining a conversation, and initiating conversations; (2) social skills training once a week; and (3) a one-to-one aide. The team set an annual goal that Student will independently initiate and or respond to peers four times daily, while achieving 80 percent success. 5. On June 6, 2006, the IEP team convened an Addendum IEP to discuss Student’s placement in high school for the 2006-2007 school year. The team consisted of inclusion specialists Margo Yunker and Fran Waldman, special education teacher Carol Rosado, general education teacher Melissa Griffin, parents, speech and language specialist Mark Davis, behavior specialist Emily Harmon, program specialist Susan Roberts, and Student’s advocate Carolina Watts (advocate). 6. The District IEP team members recommended that Student be placed at Santa Susana with 50 percent of her time in the general education program and three RSP classes in English, study skills and algebra.3 In addition, the Addendum IEP provided that Student’s full-day one-to-one aide support would continue. The District IEP team members recommended that District continue the aide for Student’s first year of high school to help her in this transition. The District team members anticipated that as Student’s independence increased, organizational skills improved, and homework was properly completed, the aide support would be faded. The IEP recommended that the aide be as unobtrusive as possible. The team also offered summer school classes in social skills, speech and occupational therapy. Services from the 2005-2006 IEP were to be continued and reviewed at the December 2006 annual IEP. Parents refused to sign the IEP, but Student did enroll at Santa Susanna in the fall of 2006 and has been receiving the services described. 7. The District IEP team members formulated their offer based on Student’s experience in the middle school, and more particularly, her progress in the eighth grade. During the eighth grade 2005-2006 school year at Valley View, Student progressed socially. Student initiated and maintained conversations with her peers. In class, she worked with other Students in small groups. Student joined and participated in a number of after school clubs including the Drama, Homework and Key clubs where she had an opportunity to socialize with her non-disabled peers. Her one-to-one aide assisted Student in making social contacts and helped initiate a walk to the local malt shop with other students. The aide helped Student contact a school friend, so the friend could attend Student’s birthday party. 8. At Valley View, Student made progress in her social skills and communication with other students. Student benefited from her speech and language class that focused on a pragmatic skills format to facilitate turn taking, eye-contact/body posture, listening, maintaining a conversation, and initiating conversations. For example, Susan Roberts a program specialist at Valley View and Santa Susana noted that Student socialized and interacted with her typically developing peers in physical education class, general education class, clubs, lunch and during hall passing. Roberts did not see Student exhibit any obsessive or ritualistic behaviors. Other Valley View teachers and Student’s one-to-one aide agreed that Student progressed socially and benefited from her interaction with her typically developing peers. 9. Student worked collaboratively with other students. Student worked well on small group projects, participated in class and volunteered to solve mathematical problems on the blackboard. For example, Student’s algebra teacher at Valley View observed Student working on five small group projects and forming a group with two girls who were not special education students. Student actively participated in the algebra class, volunteered to diagram equations and interacted well with other students. Her algebra teacher did not observe Student exhibiting any obsessive or ritualistic behaviors and the teacher did not see other students tease or belittle Student. 10. During the eighth grade at Valley View, Student progressed academically. Student earned good final grades: an A in RSP special studies, a B in RSP English, ceramics, algebra and physical education, and a C in U.S. History II. She also received a grade of outstanding in citizenship in five classes and a grade of outstanding in effort in three academic subjects. A comparison of Student’s STAR Student Reports for 2005 and 2006 indicates that Student has made educational progress in math and English-language arts. 11. Student’s one-to-one aide helped to keep her on track academically and socially. The aide did prompt Student to enhance her socialization skills throughout the day. The aide supported Student’s organization, task completion, and peer interactions. The aide also provided curriculum and classroom accommodations, helped Student maintain attention and supported the development of her independence and progress towards goals. 12. The IEP Addendum team did consider and discuss a report of an evaluation of Student by Dr. Susan Schmidt-Lackner. Parents made the report available to the District team members. Dr. Schmidt-Lackner is a board certified psychiatrist and child psychiatrist. She is an Assistant Clinical Professor at University of California Los Angeles’s (UCLA) Neuro-psychiatric Institute (NPI) and is also in private practice specializing in children and adults who have a diagnosis of autism. Dr. Schmidt-Lackner’s evaluation indicated that Student has significant deficits in social relatedness and communication. She reported that Student had no friends, engaged in inappropriate behaviors and suffered from depression. She reported that Student had developed obsessive and ritualistic behaviors where Student thinks about “cuss” words and shakes her head to get rid of them. Dr. Schmidt-Lackner recommended that Student be placed in a high school where classes are small, the campus is small, and social skills are an integral part of the curriculum. Because of Student’s reported obsessive and ritualistic behaviors, Dr. Schmidt-Lackner concluded that Student would benefit from a program in a therapeutic setting. She recommended that Student attend the Village Glen NPS. While the District team members did consider the report, they discounted it because the factual underpinnings were at odds with the observations of the participating general education teacher, the special education teacher, the inclusion specialists and the speech and language therapist. They worked with Student and none observed Student engaged in obsessive, ritualistic or inappropriate behaviors. To them, she was cooperative, polite and worked well with others in group activities. She was making good progress towards establishing friendships, as demonstrated by her regularly eating lunch with a group of other girls and her participating in outside activities with other students. 13. While, as noted above, the propriety of an IEP should generally be assessed based on what the team knew at the time it was crafted, where a Student has been receiving special education services in accordance with the IEP, the success of the program is also relevant as corroborative of the finding that the program was reasonably calculated to succeed. Student’s high school teachers have observed that Student has benefited from the placement and has made progress in her social skills and peer relationships. Her art and math teachers noted her class participation and her obvious enjoyment derived from interaction with other students. In her basic design class, Student jokes, talks, smiles and offers her opinion on the art work of others. Santa Susanna offers many extracurricular clubs and Student has joined the Christian club. 14. Student has participated in two small RSP classes in English and study skills. She has received pull out services in social skills and speech and language. These more intimate settings have provided more individualized attention than she is apt to receive in the general education environment. As anticipated, Student has not required the services of her one-on-one aide in the small classes. 15. Student testified at the due process hearing. Student’s testimony at hearing was responsive to questions and articulate. She made appropriate eye contact and appeared to be a typical teenager. Student had established some friendships during the time that she attended Valley View including the girls who sat with her at lunch. Student acknowledged that she had been anxious about attending high school and would still like to attend Village Glen because she doesn’t like the “punks” at Santa Susana. Student would like to have friends who call her at home. In September, when she first attended Santa Susana, she didn’t like it, but now she has become more comfortable at the school. Student’s aide has been helpful to her socially by encouraging Student to exchange phone numbers with other students. Student likes her one-to-one aide, but having an aide has made her feel different. She has, however, learned to deal with having an aide and tries to stop thinking about her aide’s presence. 16. Student has enjoyed success at Santa Susana and her evident progress in her social skills and peer relationships. This simply corroborates the appropriateness of the IEP. 17. In contrast, at hearing Dr. Schmidt-Lackner testified that she examined Student in September 2006 and placed her on anti-psychotic medication to address Student’s anxiety, “newly emerging fears, paranoia and ritualistic thought process.” However, Student’s anxiety cannot definitively be attributed to Student’s placement at Santa Susana. The June 2006 IEP team could not have predicted Student’s psychological condition in September from Dr. Schmidt-Lackner’s May 11, 2006 evaluation. Because the new information learned at Dr. Schmidt-Lackner’s examination of Student in September 2006 was not available for the June 6, 2006 IEP team’s consideration, it cannot be considered in determining if District provided Student FAPE. 18. Student called two expert witnesses to address the FAPE issue. Dr. Susan Schmidt-Lackner’s credentials are outlined above. As noted, Dr. Schmidt-Lackner evaluated Student and wrote a report dated May 11, 2006. Dr. Schmidt-Lackner’s evaluation indicated that Student had significant deficits in social relatedness and communication. She reported that Student had no friends, engaged in inappropriate behaviors and suffered from depression. She noted that close to the time of the examination, Student developed obsessive and ritualistic behaviors where Student would think about “cuss” words and shake her head to get rid of them. Dr. Schmidt-Lackner recommended that Student be placed in a high school where classes are small, the campus is small, and social skills are an integral part of the curriculum. Because of Student’s obsessive and ritualistic behaviors, Dr. Schmidt-Lackner concluded that Student would benefit from a program in a therapeutic setting. Thus, she recommended that Student attend the Village Glen NPS. 19. Dr. Sandra Kaler also testified in support of Student’s placement in a NPS. Dr. Kaler received her master’s of science degree from the University of California, San Francisco, and her doctorate in psychology from UCLA. She has been a psychologist in private practice since 1992, specializing in psychological assessments. Dr. Kaler opined that Student would be more comfortable with other autistic children and more likely to develop friendships at the NPS placement. Dr. Kaler conducted two independent educational evaluations of Student dated February 11, 2005, and August 6, 2006.4 Dr. Kaler’s February 11, 2005 report provided some history about Student’s behavior. Dr. Kaler reported at one time Student had difficulty controlling her anger or hurt feelings when denied her way, but her behavior has significantly improved. 20. In February 2005 and August 2006, Dr. Kaler administered a number of diagnostic assessments including the Children’s Depression Inventory (CDI), the Achenbach Child Behavior Checklist (Achenbach) and the Vineland Adaptive Behavior Scales, 2nd Editions (Vineland II). CDI scores of 5 and 4, respectively, reflected no significant degree of symptomatology. This is in contrast to Dr. Schmidt-Lackner’s May 2006 finding that Student was depressed. 21. District called its own expert witness, Dr. Lauren Franke. Dr. Franke received her Ph.D. in clinical psychology from Pepperdine University. Since 1995, her psychology practice has focused on diagnosis and treatment of developmental disabilities, autism spectrum disorders, learning disorders and attention deficit hyperactivity disorder. From 1999 to the present, Dr. Franke has served as a consultant to Orange County Department of Education and school districts in the diagnosis, treatment, planning, and the implementation of IEPs for students in special education classes. She has performed over 100 educational assessments of students with autism syndrome. 22. Dr. Franke reviewed Dr. Schmidt-Lackner’s and Dr. Kaler’s reports. Dr. Franke’s testimony was more persuasive than that of Dr. Schmidt-Lackner and Dr. Kaler. Dr. Franke’s testimony was analytical and Student’s experts appeared to be swayed by Parents’ desire that Student be placed at the Village Glen NPS. According to Dr Franke, based on Student’s CDI scores, Student showed no symptomatology of depression and her medication was effective. She compared Dr. Kaler’s assessments in February 2005 and August 2006. Student’s daily living skills improved on the Vineland, but her scores in communication and socialization decreased. Dr. Franke testified that since the Vineland measures adaptive behavior in communication and social skills, Dr. Kaler failed to employ the best practice of interviewing both Parents and noting discrepancies in their reporting. Student’s teachers should be interviewed to observe how she adapts in school and home environments. Dr. Franke concluded that Dr. Kaler failed to follow the best practices on the Vineland. Dr. Kaler also administered the Achenbach that measures behavioral concerns. Student’s Parents answered the questions on this assessment. Dr. Franke testified that Dr. Kaler failed to follow the best practice on this assessment when she neglected to interview Student’s teachers. Dr. Franke concluded that there was no significant change in Student’s social functioning. 23. Dr. Franke testified that Student’s behavior appeared to be different at school and at home. Since Student’s teachers and one-to-one aide found that Student’s behavior was appropriate and they did not observe any obsessive, ritualistic behaviors, then Dr. Franke felt that a NPS would not be recommended. In addition, Dr. Franke found that the data she reviewed did not support placement in a NPS. Thus, Dr. Franke concluded that District’s placement of Student at Santa Susana was appropriate. 24. District easily met the threshold legal requirements for the provision of a FAPE. The December 2, 2005 IEP and June 9, 2006 IEP Addendum addressed Student’s unique needs about which the parties do not disagree. This included her social skills overall and her ability to initiate and sustain peer relationships. The IEP was reasonably calculated to provide educational progress, including the areas of social relationships affecting access to education and the community at large. Significant progress in these areas was apparent when the Addendum was discussed and developed in anticipation of Student’s transition to high school. The mix of general education classes with smaller RSP sessions had been effective and was understandably continued. The aide remained necessary to help Student maintain her focus and to help facilitate peer interaction, particularly in the new high school environment. The District did commit to eliminating the aide over time as Student’s social skills, organization, and independence grew, a reasonable compromise between the continuing need for prompting and the goal of enhanced independence. 25. A substantively appropriate IEP must be provided in the LRE, i.e., Student must be educated with her non-disabled peers to the maximum extent appropriate. Any analysis of the LRE must consider four factors: (1) the educational benefits to the child of placement full-time in a regular class, (2) the non-academic benefits to the child of such placement, (3) the effect the disabled child will have on the teacher and children in the regular class, and (4) the costs of educating the child in a regular classroom with appropriate services, as compared to the cost of educating the child in the district’s proposed setting. 26. As noted above, the June 9, 2006 IEP states that Student will be educated with her typically developing peers for 50 percent of each day in the following subjects: Science, Basic Design, Tap 9 and Physical Education. The IEP also provides for a one-to-one aide for Student while participating in the general education classes with her peers. Student asserts that Student’s placement at Santa Susana with a one-to-one is not the LRE because the aide fosters Student’s dependency on prompts and interferes with her independence. She also argues that having an aide stigmatizes Student. However, District continued the aide to help Student transition to high school. Student and the aide have a good relationship. Although she had a one-to-one aide, her aide shadows Student and helps other Student’s with their classroom work while Student participated independently. District plans on phasing out the aide’s services as Student becomes more independent. Student’s one-to-one aide did not isolate Student from her typically developing peers or stigmatize Student. 27. District’s proposed placement benefits Student, because at Santa Susana, Student has the opportunity to be in classes with her typically developing peers. At Village Glen NPS,almost all of Student’s classmates would have a diagnosis of autism. In addition, Village Glen has a lack of female students, i.e., one class has no female students and another has only one. At Village Glen NPS, Student will not have the opportunity to model from her typically developing peers. The scarcity of female students may well impede Student’s ability to establish friendships. The District’s proposed placement offers Student the opportunity to be in four general education classes. 28. A school district is required to ensure that a student with a disability is in placement as close as possible to the child’s home. However, this proximity preference is one of many factors for a district to take into consideration in determining a student’s proper placement, and does not amount to a presumption that a student with a disability should attend his or her neighborhood school. District established that Santa Susana is closer to Student’s home and Student’s bus ride is significantly shorter than her ride to NPS placement, Village Glen. The bus ride to Santa Susana provides another opportunity when Student can socialize with other students to establish friendships. There is no bus available or known car pool to transport Student to the Village Glen NPS. Student would have to take a taxi to Village Glen and would not have an opportunity to socialize with other students. 29. Based on the foregoing, Student failed to meet her burden of proving that District’s placement is not the least restrictive environment because of the importance of Student being educated with her non-disabled peers. Student would benefit, both academically and socially, from the District’s proposed program and there was no evidence to suggest that her inclusion with non-disabled peers would distract them or teachers. The June 9, 2006 IEP is the LRE for Student. 30. School districts may be ordered to provide compensatory education or additional services to a student who has been denied a FAPE. To obtain relief in the form of compensatory education, a student must present specific evidence as to how the compensatory education should be calculated. 31. District’s placement offer to Student at Santa Susana provided FAPE. Student failed to present any specific evidence as to how compensatory education or services should be calculated. Thus, Student is not entitled to compensatory education or services. Issue 1: Did the District fail to provide Student with FAPE in its June 9, 2006 IEP for the 2006-2007 school year ? 10. Based on Factual Findings 1 through 24 and Legal Conclusions 1 through 6, District’s June 9, 2006 IEP for the 2006-2007 school year provided Student with a FAPE. Issue 2: Was the placement offered by District in the June 9, 2006 IEP the LRE? 11. Based on Factual Findings 25 through 29 and Legal Conclusions 7 and 8, District’s offer of placement at Santa Susana constituted the LRE. Issue 3: Is Student entitled to compensatory educational services? 12. Based on Factual Findings 30 and 31 and Legal Conclusion 9, Student is not entitled to compensatory educational services because District’s placement provided FAPE to Student. All of the relief sought by Student is denied. Pursuant to California Education Code section 56507, subdivision (d), the hearing decision must indicate the extent to which each party has prevailed on each issue heard and decided. District prevailed on Issue 1, Issue 2, and Issue 3.